Tabula Rasa Dark Lavender Soft Shaving Soap 90g. 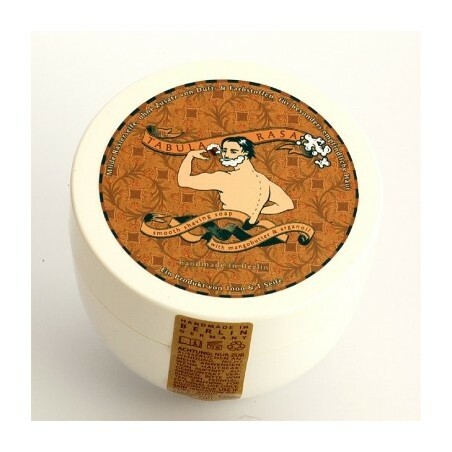 Tabula Rasa shaving soaps are handmade with 100% natural ingredients. Enriched with mango butter, Arganoil, shea butter and barley extract. It contains a lot of linoleic acid, used to soothe the itching and irritation. Dark Lavender Fragrance: Contains Lavender essential oil, a relaxing scent. Cool and classic scent Lavender.